On the 20th of March it's World Storytelling Day. World Storytelling Day is a global celebration of the art of oral storytelling. It is celebrated every year on the spring equinox in the northern hemisphere, the first day of autumn equinox in the southern. On this day as many people as possible tell and listen to stories in as many languages and at as many places as possible, during that same day and night. 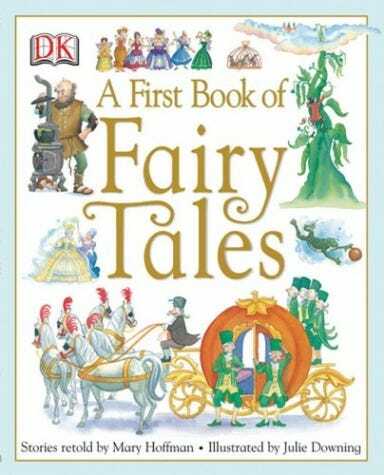 Do you remember a fairy tale or a story that has made a special impression on you? Do you remember a fairytale or a story that impressed you and that you wanted to hear again and again in your childhood. Did this story affect your life in any way? Did you want to be like the protagonist? Were you afraid when you read it? What did it make you dream of at that time? Did you pass it over to your own children? 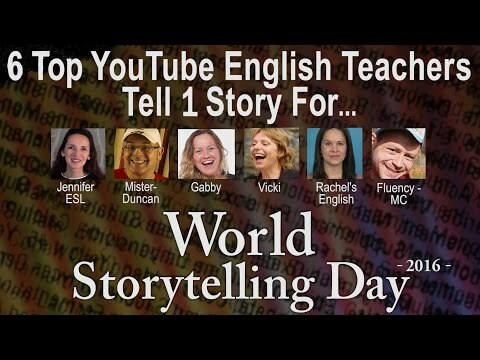 Because March 20 is declared the World Storytelling Day have I put this discussion. On March 20 - World Storytelling Day are widely narrated by storytellers in any language and in every conceivable place stories. If the Western Hemisphere still asleep, are every year on March 20 in Asia and Australia to hear the first stories. As storytellers in the eastern hemisphere again afterglow of their stories are in the US and Canada only told the first stories. The date of March 20 was not chosen by chance. 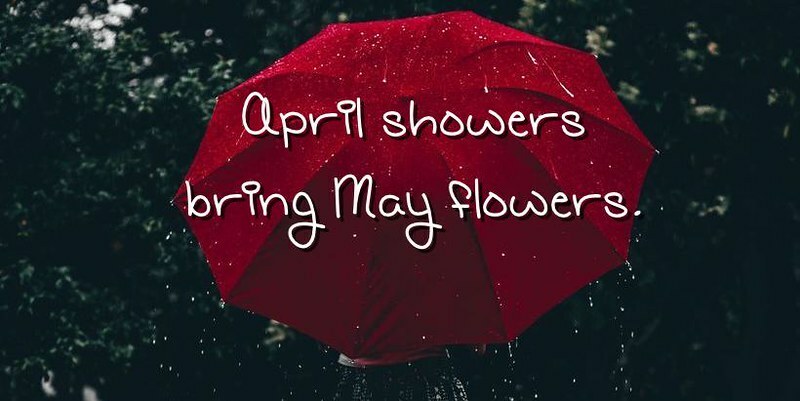 It is the beginning of spring and autumn respectively in the northern and southern parts of the world. The whole world is on the same day busy with telling stories or listening to stories . Therefore, the connectedness of human beings in all parts of the world is discuss at special way. Moreover World Storytelling Day draws worldwide attention to the art and craft of the storyteller. 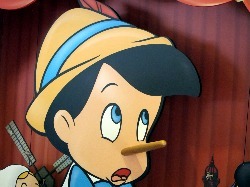 At a time in my childhood my father told the story of Pinocchio (the boy whose nose was longer as he was telling a lie). My dad was a great storyteller. I think this story was told after I had lied once (maybe it was a lie for sake ... I do not remember). This story haunted me for a long time, perhaps because I knew what it meant to me. I would certainly not be as the protagonist, because I did not want a long nose. And at night I dreamed of children with long noses. But that did not deter me from to tell this story to my children and now my grandchildren . This story brought me up as an honest woman made that loves the truth. @Paulette I hope your nose is still normal? Suppose if somehow this story becomes true then How will people look like? 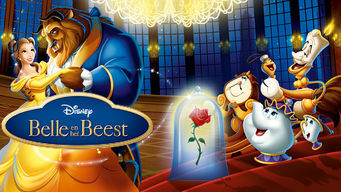 But the inner strong love of Belle breaks the spell as she full of love approaches the Beast as he is dying. For me this was a story that I explicitly identified with me. I wished all people were good. I thought it was fantastic that could speak clocks and coffeepots and I also told to the cups and plates at home and believe me or not they answer me (I had a lot of imagination). In my dreams I were Beauty and I think I have inherited from Belle's love and goodness. I don't like much of stories but I have read "Alibaba and forty thieves" that I still remember from childhood days. Kasim is an Alibaba’s brother. He is a malicious person. One day he notices Alibaba discovers a cave full of treasure and he goes there. But he is trapped in the cave and killed by the thieves. Then the leader of the thieves trys to find who discover the cave of their treasure. Alibaba is often in danger of being found out. But Kasim’s royal servant, Morgiana, helps him. She is a quick-witted woman. Here is a charm used in the story “Open Sesami”. The leader of the thieves cries out this words. Then a big rock open. I found this story kind of interesting at that time. One day there was a homeless man and He has been trying to gather food. He keeps noticing every day his food disappears. One day he caught the mouse that kept stealing his food and he asks the mouse. "Why are you stealing from me?" " I am a homeless man" you can steal from richer people than me and it won't have any effect on them. The mouse then told the homeless man, "It's in your destiny that you can only have eight items in your possession. No matter how much beg and gather this is all you will be able to have." The homeless man shocked and said, "Why is that my destiny?". Mouse said, "I don't know you should try and ask Buddha." So the homeless man goes on his journey to go find Buddha and as he's going. It gets late. So he ends up a wealthy family's house and he asks he could stay the night. They let him in and they ask him. "young man why are you traveling so late?" and he answered. "I have a question for Buddha and tomorrow I'll be on my way." The family then says "Can we give you a question to ask the Buddha"? We have a sixteen-year-old daughter who can't speak. we just want to ask what do we have to do the make her speak. So the homeless man thanks them for shelter and tells them " of course I'll ask your question for you"
So the next morning he goes and continues his journey and sees a sea of mountains that he has to cross. He claims up one mountain and he meets a wizard. The wizard decides to use his staff to take the young man and himself fly them across the sea of mountains and Wizard asks the young man, " Where are you going?, Why are you deciding to cross these mountains?" The young man said I am going ask him the Buddha a question about my destiny. The wizard then says "Can I please give you a question to ask the Buddha?" I've been trying to go to heaven for a thousand years. According to my teachings, I should be able to go to heaven now. Can you please ask the Budda? What do I've to do to get to heaven? "Of course I'll ask your question for you." And as he continues on his journey he runs into his last obstacle which is a rive that he can't cross. Luckily he meets a giant turtle who decides to take him across the river. As they're crossing the river the turtle asks. "Where are you going?" I am going ask him the Buddha a question about my destiny. The turtle then says, "Can you ask a question for me too? I've been trying to become a dragon for 500 years. According to my teachings, I should have become a dragon by now. Can you please ask the Buddha. What do I have to do to become a dragon?" The young man thanks the turtle for taking him across the river and says, "Of course I'll ask your question for you"
The homeless man finally meets the Buddha. And the Buddha tells everybody "I will answer three question for everybody here. But only three questions." And the young man is shocked. He has four questions to ask so he thinks carefully. He thinks about the turtle living for 500 hundred years trying to become a dragon. The wizard has been living for 1000 years trying to get heaven. The girl has to live her whole life unable to speak. And then he looks at himself and he says "I am just homeless beggar. I can go back home and continue begging. So as he looks at everybody else's problems his problem suddenly seems so small. He feels sorry for the turtle the wizard and girl. And decides to ask all of their questions. So He asks the Buddha and Buddha answers. " The turtle is unwilling to leave his shell, as long as he's unwilling to leave the comfort of his shell. He never becomes a dragon. The wizard always carries his staff and never puts it down. It acts as an anchor keeping him from heaven. And as for the girl, she'll be able to speak when she meets her soulmate." So the homeless man bowed to the Buddha and went on his journey back home. He reunites with the turtle and he tells the turtle, " Hey you just have to take off your shell and you become a dragon. The turtle then takes off his shell and inside his shell were priceless pearls found the deepest parts of the ocean. And he gives it to the homeless man and tells him, "Thank you I no longer need this because, I'm now a dragon," and flies away. The homeless man reunites with the wizard and the top of the mountain and says "Hey you just have to put down your staff, and you'll be able to go to heaven." The wizard lets go of his staff by giving it to the young man. He says, "Thank you," and ascends to heaven. The young man now has wealth from the turtle ad power from the wizard. He goes back to the family that gave him shelter. And he tells them that, "The Buddha said your daughter will be able to speak when she meets her soulmate". And that movement the daughter came downstairs and said "Hey! is that the man that was here last week?" The young girl and the once homeless man have found their soulmate. This story tells us so many things so many lessons. " We have to give things, in order to get some things." @madhug what a wonderful story, it is indeed a story where we learn to think at the others and then we see how lucky we are if we think to the problems of other people. Yes..! we are lucky if think to the problems of other people. @Paulette. When we are in trouble sometimes we think negative way, men build with negative thoughts. Once you overcome negative thoughts you become a pure man. You can accomplish any kind of work. One wise man was traveling to heaven. He has been traveling for hours. He got pain on his legs while walking so he decided to settle someplace. He sits down a Banyan tree on the way. He has a strong appetite. He thinks about food "How if food will appears me?" He thought all of sudden the delicious food was arrive. Then he ate the food without thinking where did food come from. Then he had thirsty. He thinks about water and water came he drunk the water. After completing his hungriness, he started thinking where the food comes from. He thought about evil got food for him. Then the evil came. After appearing evil He thought about "The evil might fears me". As per his thinking, the evil got fears him. Then he started thinking about evil will kill him then the evil kills him. The moral of the story behind "What you think it will happen. " All ways think positive." A cricket chirped day and night, as long as it was summer, while her neighbor, the ant was looking of food for the winter. "I sing to cheer you up during work" said the cricket. "Come, listen to my song." The ant shook her head and said, "An ant is not lazy!" When after a while the freezing wind came, the cricket stopped singing, but there was no larva or no more other thing to eat and sadly he shook his head and asked the ant "Do you have something to eat for me?" "You know I do not lend to anyone," said neighbor ant very mean. And she continued with her sermon: "What did you do when the sun was still shining and I brought in my supplies?" "I sang for you," said the cricket softly. "Yes, then you sang and now you're poor, so dance now, so you'll get warm!" Eventually the cricket was so hungry that he again knocked on the door of the ant. "Dear ant, can not you give me a little seed, or a piece of those juicy leaves? I starved of hunger. "" Forget it, "said the ant harshly," then in the summer you would have put in a supply. Why would I share my food with a lazy cricket like you? "And she closed her door to the poor cricket's nose. Sadly and despondently, he sat in front of his house and did the only thing he could do: he played a song on his violin that expressed exactly how he felt. Now it was not a happy song, but a very melancholy, sad melody. But a very beautiful one, so beautiful that the insects in the neighborhood were completely committed to him. The ant also came to watch and she thought to herself what a talent that cricket had and then the thought arose that they both could work together, one could entertain and the other looked for food and that way the work became pleasant. So you see that every person has his talent to come through life.